We are pleased to present our first VASCERN Spotlights article of 2019, which features Lise Murphy from Sweden. 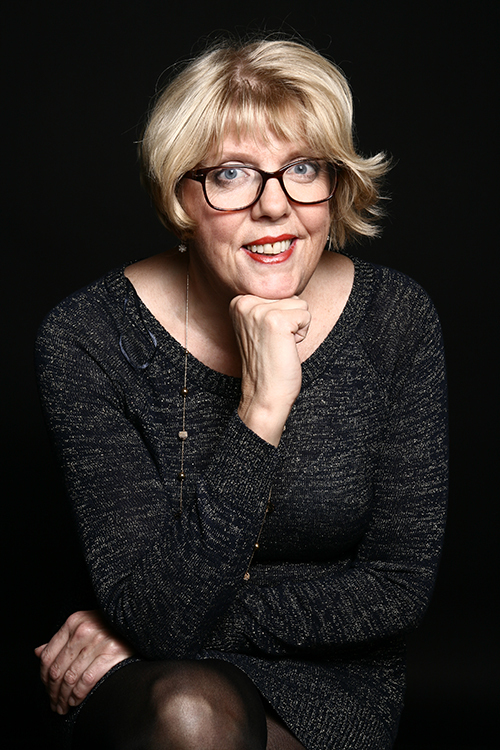 Lise belongs to the Swedish Marfan Association and is the European Patient Advocacy Group (ePAG) Co-Chair for VASCERN’s Heritable Thoracic Aortic Diseases Working Group (HTAD-WG). In VASCERN the 5 ePAG Co-Chairs (one in each of the 5 Rare Disease Working Groups; RDWGs) assure the transfer of information and ideas between the RDWGs and the other patient advocates of the VASCERN ePAG. Read all about how she participates in the activities of VASCERN, what she would like the general public to know about rare diseases, and her future hopes for VASCERN and the ERNs. 1. How did you become involved in the VASCERN project? I first became really interested in what the European Reference Networks (ERNs) could offer patients in May 2017 at the annual Eurordis Membership Meeting in Budapest. Once I had listened to the speakers and talked to people during that conference I started to sort out the application to involve my patient organization and to inform them of the ERNs. The process took quite a while, and it wasn’t until December 2017 that my organization was accepted. I then started to join the European Patient Advocacy (ePAG) meetings from 2018 onwards. 2. How do you as an ePAG representative participate in the activities of VASCERN? I am the ePAG Co-Chair of the VASCERN Heritable Thoracic Aortic Diseases Working Group (HTAD-WG) and as such I lead the activities within the patient advocacy group of HTAD. There weren’t many patients involved in the HTAD-WG in the beginning so first I had to recruit and introduce the new participants to the work that was involved. I am active in meetings and work on various projects. Together with Marfan patient organisations and VASCERN we are soon going to launch a project called 3-a-week in order to encourage Marfan patients to exercise in the correct manner so as to improve their health (official launch coming soon). I am a representative on the steering committee of the ePAG group for VASCERN and therefore participate in discussions on shaping strategies for the future as well as training and advocacy. I also do a lot of advocacy at a national level in order for the ERNs to be integrated into the national health system in Sweden. As a patient advocate we have most recently been asked to look at how holistic teams can be evaluated, so we are currently working on that as well. 3. What is one thing that you would like the general public to know about the reality of living with a rare disease? I would like people to know that rare diseases are generally complex and having one can be very challenging as it is often difficult to find the right expertise and therefore the right treatment and it is more difficult to coordinate care. Another important point to realize is that rare diseases are more common than people think, as there are around 6000-7000 rare diseases in total. If you look at the patients walking into a doctor’s office or a surgical ward, you might think that only 5% may be rare disease patients, but rare disease patients often need more frequent medical visits so this figure is not so representative of the reality. Encountering someone with a rare disease is more frequent than you may think. 4. Can you tell us a little about your rare disease and/or the patient association that you represent? My organization is the Swedish Marfan Association, which is a wonderful organization with a big board of members and we try to do a lot with very little funding (coming from membership fees and an occasional donation). Despite this lack of funding we manage to organize meetings; we are active in Facebook, in various groups; we are active in the HTAD-WG of VASCERN and also in national advocacy activities. Marfan syndrome is a connective tissue disorder which can affect many parts of the body. The most serious manifestations involve the aorta and blood vessels, the eyes, and the skeletal system. The total impact of the disease can range from mild to severe and can fluctuate throughout a patient’s life. Altogether, this can be quite hard to handle, as symptoms can come all at once in various parts of the body and it can be very difficult for Marfan patients to deal with this variability. I hope that VASCERN will continue to grow and become a stronger network. 5. What has been your most memorable moment as an ePAG representative so far? There have been many memorable moments, I would say, as it has been very exciting to be a part of VASCERN. I would have to mention that what I have appreciated the most is the welcoming attitude from the physicians and their appreciation for patient advocacy work and what our involvement brings to the European Reference Networks. I have appreciated this attitude a lot. I was also really impressed by the other patient advocates already participating in the network when I joined. It is a true joy to work with such dedicated and professional patient advocates! 6. As a patient representative, what is your hope for VASCERN and for the ERNs in general? My greatest hope is for sustainability of the ERNS and integration of the networks into the national health care systems. In Sweden there is progress being made on this point as at the moment there is a total reorganization of the healthcare system in our country, so this may be a good thing, as it is always easier to add something new during a time of reform. I hope that VASCERN will attract more and more research projects and that more research will be done by our network, for the benefit of all patients with rare vascular diseases. Finally, I hope that VASCERN will continue to grow and become a stronger network.